John Holder is available to speak at your events on business development issues. 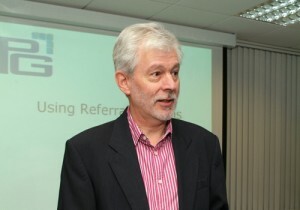 Seen here educating an audience of business owners on Customer Referral Systems, as part of Seminars for Success, at Aston Science Park, Birmingham. 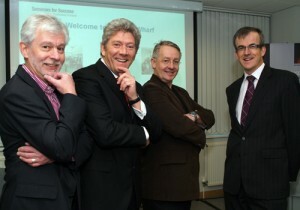 That day, he shared the platform with Paul Bonne, Mike Ames, and David Hardman, Chief Operating Officer, Aston Science Park (plus Dr Graham Leask, not pictured). Other credits include The Enterprise Club, at the University of Northampton, Daventry Breakfast Club, Buckingham Business Club, and The Business Club (both Northants and Leicester clubs).